You are welcome to join our group. We are camped across the road to the north of the exhibit area along the base of the bluffs. 33.26620 -116.01060. Look for a Class C motor home with Nevada plates and two tents. I will probably camp somewhere in Truckhaven. I am going out Friday night. I will give you a call on LandOps freq sometime. I will monitor that freq all weekend if anyone else is coming out. 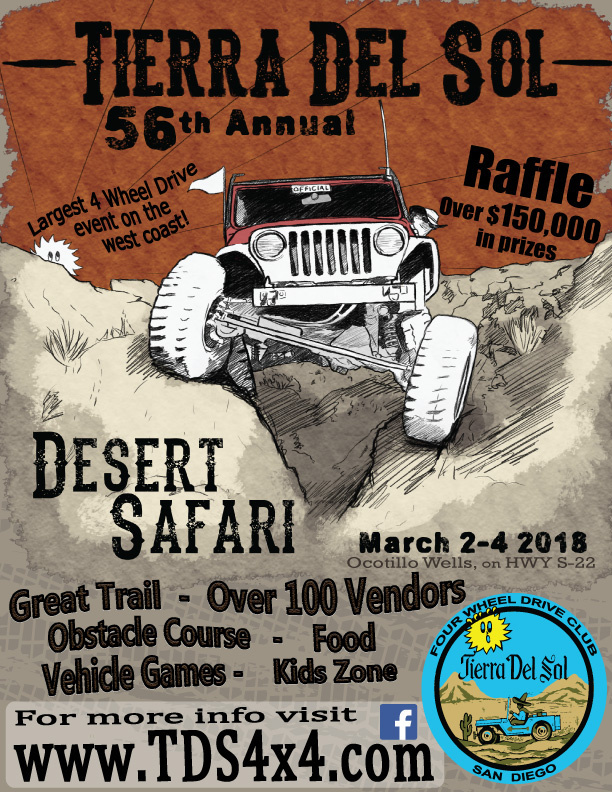 Does anyone plan on going to this years Desert Safari? I will probably be camping in the Truckhaven area Friday and Saturday nights.